Baby blankets make wonderful gifts. 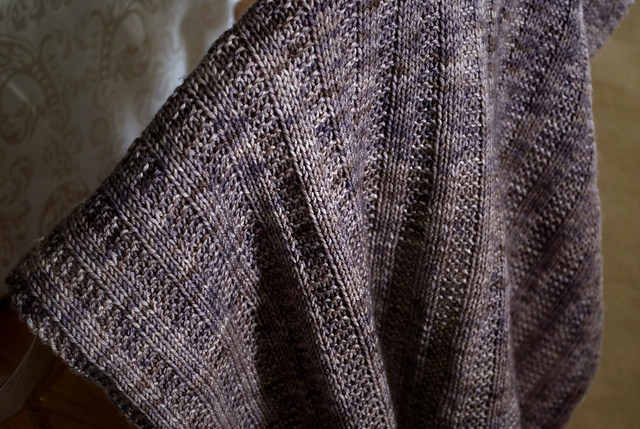 The "garter rib" baby blanket is a free pattern posted by Orange Flower Yarn. This one in the photo is called "Adam's Rib" and gorgeous, knit with five skeins of Sublime merino wool in DK weight on a US 6 (4mm) needle. Looks like a simple pattern and television (football) worthy. So pick up some yarn for the Super Bowl this weekend. 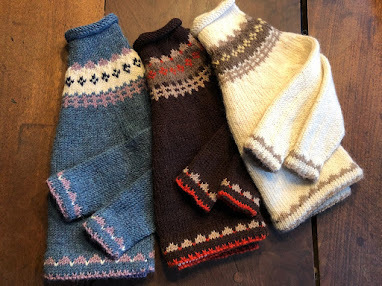 Knitnscribble has posted several easy blanket patterns to crochet or knit. You can also use cotton or acrylic worsted yarn and a larger needle, because gauge is not too important. Orange Flower Farm writes the finished size for the DK is 30" by 32." Buffoo has written: "Blocked, the blanket measured 28.5” x 32.5”; when dry it bounced back to 27” wide X 31” long." 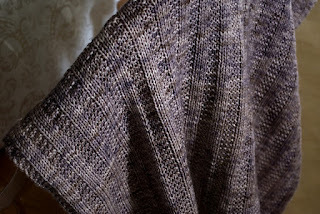 The free baby blanket pattern "garter rib" is here. Love this colorway by the designer posted as "sketchbook." She used a US 7 (4.5mm) and 680 yards. You can find sketchbook and her hand-dyed yarn here at Orange Flower Yarn. 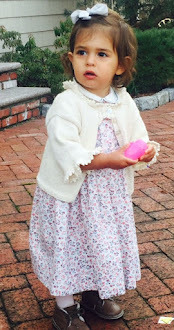 There are many free blanket patterns here on knitnscribble to knit and to crochet, here's a link.